Suicide or Survive (SOS) is a nationwide Irish charity focussed on breaking down the stigma associated with mental health issues and ensuring that those affected have access to quality recovery services that are right for the individual.We are working to build a society where people embrace their mental health wellness and those with difficulties are treated with dignity and respect, and experience a service that offers them hope, a safe place and a positive future. SOS is leading the way through active collaboration which we believe will drive positive social change. A vacancy has arisen for the position of Projects and Events Coordinator based at our office in Stonebridge House, Stonebridge Close, Shankill, Co Dublin Projects and Events Coordinator Job Title: Projects and Events Coordinator Reports to: CEO Job location: Suicide or Survive (SOS), Shankill, Dublin Contract: An initial period of 1 year Salary: €35,000 p.a. Overview As a member of the SOS Team, the Projects and Events Coordinator will perform a vital role in designing and delivering projects and events in the following areas; marketing, fundraising, relationship management and financial operations. They will require the flexibility to complete projects either as part of the wider team or at times to solely carry the responsibility for the project. Responsibilities Provide administrative and clerical support , including; correspondence with partners, donors and supporters, processing and acknowledging of donations and payments, updating financial reports, issuing communications on SOS digital channels and day-to-day management of incoming communications to the SOS office. Database management - Ensure that the database is updated and maintained accurately and within the agreed timelines. Complete data entry required for fundraising and marketing projects Donor and Prospect Research – Research and identify opportunities for SOS to partner with individuals or organisations to support projects, fundraising and events. Attendance and networking at external events, to represent SOS as required, this may require some traveling. Organise and provide logistic support for events, meetings and projects. Work on a project team to design on deliver projects for SOS, delivering on all responsibilities as agreed at initiation of project. Prepare and execute campaigns - mass mailings, emails, phone & text campaigns (event follow-ups, newsletters, ezines, general appeals, annual reports, special events, etc.) Perform other tasks and duties as assigned by the CEO to support the ongoing development of Suicide or Survive Requirements / Skills Strong interpersonal skills including experience building and maintaining relationships with a diverse network of individuals and organizations Strong organizational skills including attention to detail and ability to multi-task Familiarity and experience working with a CRM system Time management skills and ability to prioritize a large volume of tasks. 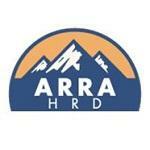 Ability to work under strict deadlines Self-motivation with a proven ability to work independently Enthusiasm and willingness to learn High level of responsibility and accountability and a proven track record of achieving goals and targets Excellent customer services skills and capable of working with internal and external teams and partners Experience coordinating events Full drivers licence Application by email only to info@arrahrd.ie to be forwarded by the close of business no later than 17th April 2019. Canvasing will be disqualified. Shortlisting will take place based on the submitted application. Suicide or Survive is an equal opportunities employer.